An inmate and a guard inside a South Carolina correctional facility spoke with The Root detailing conditions inside the facility and a massive gang fight that left seven prisoners dead and 17 inmates injured on Sunday. 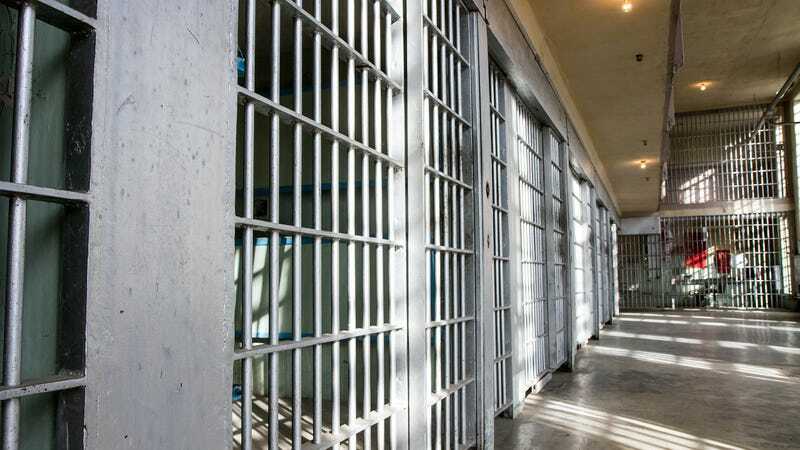 According to a source who spoke to the Associated Press, the fight at Lee Correctional Institution in Bishopville, S.C., left bodies “stacked on top of each other.” Jeffrey Taillon, a spokesperson for the South Carolina Department of Corrections, told The Root that no correctional officers were hurt in the incident, which lasted from 7:15 p.m. Sunday into the early hours of Monday morning. Through a series of phone calls, text messages and a video chat, a prisoner housed in one of the units involved in the melee contacted The Root on the condition of anonymity, telling a story of an incredible prisonwide economy based on drugs, contraband and a bitter gang rivalry. The fight reportedly involved weapons including knives, manufactured prison shanks and even Tasers that were smuggled inside the penitentiary. According to the inmate, a rumor had been circulating around the prison for a few days that a “package” was coming, referring to the contraband that manages to make its way inside the building. The insider described how drugs, weapons, tobacco and cellphones get into the prison. The contraband affects everyone in the prison, even if they are not gang-affiliated. Not only do the gangs control drugs, but K2, a form of synthetic marijuana, is one of the most valuable contraband items. The insider says that it can fetch up to $30,000 profit per pound, and $250 for the equivalent of a cap of toothpaste filled with K2. But the real value is in cellphones. Although the possession of cellphones is illegal inside South Carolina prisons, the state has the highest rate of smuggled cellphones in the country, according to NBC. While South Carolina prison officials say they confiscate a cellphone from 1 in 3 prisoners, the inmate we spoke with says that the number of prisoners who own cellphones is about 75 percent. The Root spoke with one current and one former correctional officer at Lee Correctional Facility. Both of them said that mobile devices have become commonplace inside the penitentiary. Through a series of texts, the officer explained that cellphones are considered contraband but are often overlooked in the prison system. The former corrections employee who worked inside the same facility explained that, while forbidden, cellphones have become so ubiquitous inside prisons that officers ignore them. Inside the prison, the price of a smartphone averages $1,500. Flip phones sell for $800 and chargers are sold separately for $50. The inmate told us that only two cellphone companies work inside the prison, making the right kind of phone very valuable. According to the prisoner we spoke with, all of this is facilitated by contacts on the outside and guards running the facility. “If you’re making $20 an hour, who wouldn’t take an extra 2 grand to look the other way?” he asked. Even prisoners who are not affiliated are involved in the “pack economy” because many buy cigarettes, drugs and cellphones at wholesale from gang members who control “the pack,” and use it as a side hustle. When you heard that, you’re just waiting for the day for it to go down. Everybody knew that if nothing happened, it would be a miracle. The rumor was so prevalent that in the days leading up to Sunday, many inmates wouldn’t leave their dorms to go to the common area because they knew there was a big fight coming in the near future. Others were preparing, even if they weren’t involved. “The rock”— the common area inside one of the housing units at Lee Correctional Facility in Bishopville, S.C. Both the current guard and the inmate confirmed that everyone knew that a reckoning was coming, leaving everyone on edge. “Folks would go to the Rock to see who was there and say, ‘Imma just stay in my room,’” said the inmate. The rock had been unusually quiet for a few days last week. But on Sunday, it was crowded because of the NBA playoff games. It started in the yard. I heard the “first respondents” call over the radio, which usually means there was a fight. Then I heard the call for an “institutional lockdown.” When you hear that, you know something deadly has happened. ... That means every person has to report to their room, even if they are working in the cafeteria, the canteen, cleaning. The officers immediately sent the inmates to their individual rooms and began to make sure the doors were locked. “Them boys over there banging!” someone yelled. That’s when the chaos happened. Several of the locks on the dorm-style doors in the facility were broken, which meant that many of the officers couldn’t leave the individual buildings to de-escalate the fight for fear that inmates would leave their cells and began fighting on the rock. Because the fight didn’t take place inside the dorm, few prisoners witnessed the deadly clash. Even the ones present knew to get out of the way. The seven inmates who died in the fighting were Raymond Scott, 28; Michael Milledge, 44; Damonte Rivera, 24; Eddie Gaskins, 32; Joshua Jenkins, 33; Corey Scott, 38; and Cornelius McClary, 33, according to NBC News. Seventeen more inmates were injured, and none of the 44 guards on duty were injured. Our inmate insider speculates that this will cause the prison contraband economy to explode. The cellphone problem has led the SCDC to employ the state’s National Guard to patrol the perimeter of the prison. The state has also tried to use cellphone-blocking signals, but the Federal Communications Commission outlaws the use of cell-blocking technology (pdf).